If you’re interested in playing Slugterra Life, simply continue reading to discover everything you need to know about becoming an expert Slugterra Life player. 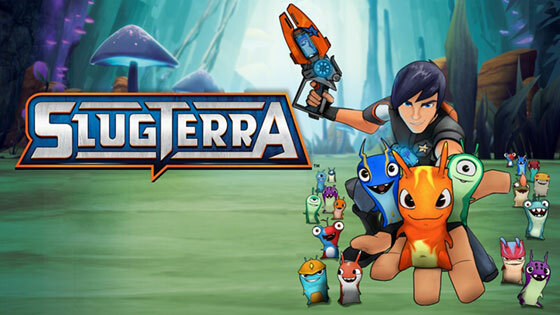 Slugterra Life is a unique simulation style game which entails taking care of a family of slugs, in their family home. Whilst taking care of your family of slugs you can send individual slugs on missions in order to win valuable coins. Alternatively, you’ll also be able to play mini-games and complete home-based activities in order to earn handy experience points, which you’ll need to level up your slugs. Also keep in mind that the higher level your slugs become, the more difficult missions you’ll be able to send your slugs on and the more coins you’ll win for completing each mission. When your slugs successfully complete missions you’ll be able to spend the loot that they win on new objects for your slugs’ home. As an added bonus, your slugs may bring home new slugs, which you’ll be able to add to your growing family of slugs. Remember that the more slugs that you take care of, the more slugs you’ll be able to send on missions and the more money you’ll bring in, to update your slug’s home. Especially as each slug will need to recharge their energy after each task, so it pays to have as many slugs as possible in your home. If you want to get Renuke, it’s a great idea to level up your slugs, in order to take on harder missions and to increase your chances of bringing home Renuke. Although Renuke is added to households randomly and there’s no way to guarantee that you’ll be able to bring Renuke home after a particular mission. So don’t be afraid to keep trying until one of your slugs eventually returns home with Renuke. When you play mini-games in order to win coins, your slugs will lose energy, which will need to be replenished by feeding your slugs foods. However, each slug will respond slightly differently to each type of food available, so it’s well worth experimenting by feeding different foods to different slugs, in order to find out all of your slugs’ favorite foods. As an example, you may find that one of your slugs loves smoothies, while another of your slugs may prefer spicy foods. Just as different individuals prefer different types of foods. There are three different types of objects that you can spend your coins on props, food, and training. In the early stages of playing Slugterra it’s a great idea to spend most of your coins on food. Which you’ll need to send your slugs on missions and to play mini games. It’s also worth spending some of your coins on training, in order to level your slugs up. However, there’s no need to spend money on props to dress your house up as they offer no advantages in your game! If you follow the tips and tricks listed above, you’ll be sure to become an expert Slugterra player in no time!